Once again, I hope everyone has been having a fun time playing in City Championships this past weekend and I hope they have experienced some good fortune during them as well! I got to get back in the action with a pair of tournaments in Indiana this weekend, and they were both fun events fueled on way too little sleep. For the first event in Evansville, Indiana, I made a return to playing Darkrai, a deck archetype I feel really comfortable playing and which I felt could be very strong. 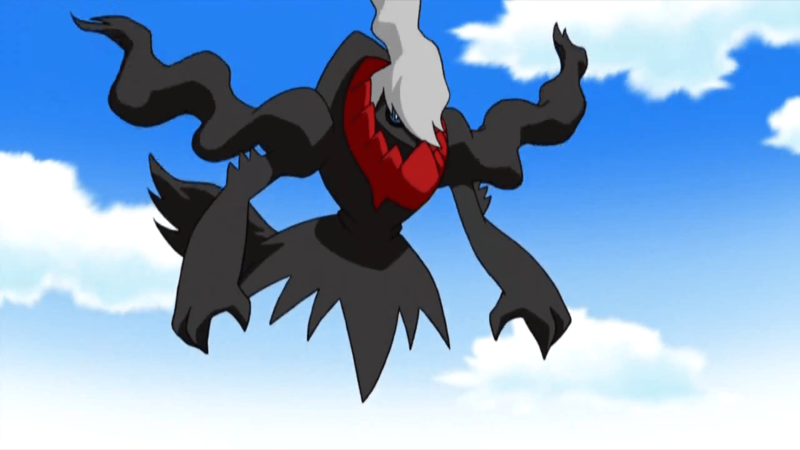 I chose to pair Darkrai with Mewtwo EX and Bouffalant DRX, as well as Crushing and Enhanced Hammers. 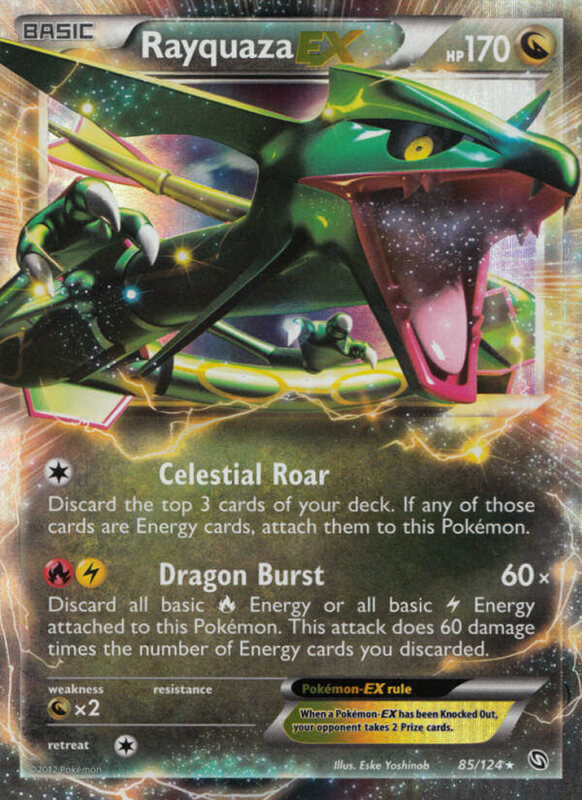 I was expecting some Klinklang, a lot of Blastoise/Keldeo, and then the Ho-Oh/Tornadus EX decks that have seemed to do well in this particular area for the tournament. After about a week of testing, I felt very comfortable with my ability to win the Landorus EX and Big Basics matchup, and I knew the deck would give me a near auto win against Klinklang, which I thought would be one of the strongest decks in the entire tournament. Here is the list I ended up playing. I don’t think it’s anything special, just a fairly straight forward Darkrai/Mewtwo list teched against the expected meta game. I felt this list would give me a good shot at winning the tournament. The combination of Crushing Hammer along with 3 Mewtwo EX gave me the edge I needed for the Landorus EX matchup, and I felt having to face down potentially three Mewtwo EX in a single game would be really strong against the Blastoise/Keldeo decks I expected to play, and allow me to always finish a Mewtwo war. Overall, I felt the deck was pretty consistent, and that’s what it showed in testing. I played 13 Supporters and a Computer Search, and I felt combining that with the ability to Junk Hunt for the Computer Search would give the deck no consistency problems. Unfortunately that wasn’t quite the case, and I felt that I ran very cold playing this deck in this tournament, and the deck just wasn’t clicking as it had in testing. With that gripe aside, here is how my tournament played out. Could I have asked for any worse of a matchup to start off the tournament? I would be playing an all Fighting deck with the ability to retrieve cards from the discard pile, which surely would be a nuisance. I got off to a fairly strong start in this match, getting some early prizes on my opponent. I discerned that my opponent was probably not playing Mewtwo EX in their deck midway through the game, so I decided my best option would be to build up a giant Mewtwo EX. At some point in the game, I was able to attach an Energy and to Mewtwo EX and then used Energy Switch to move more onto it. 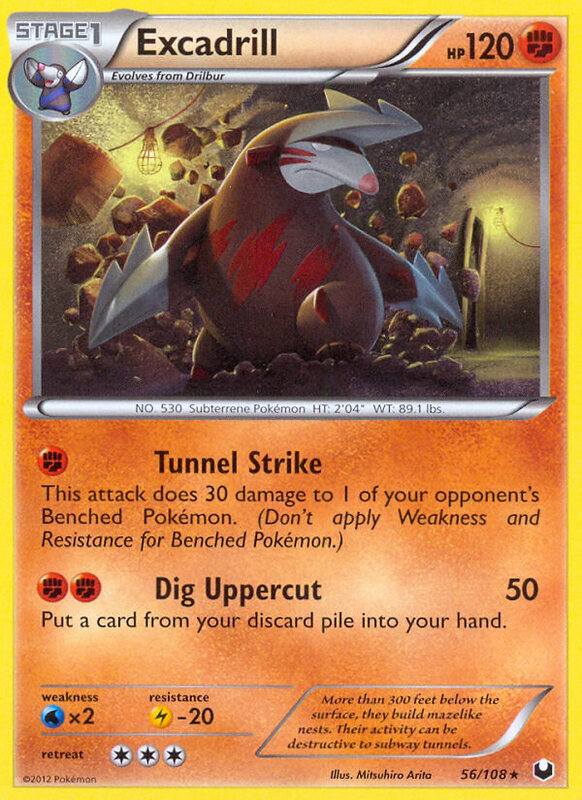 I get to this point in the game where if I can get one more Energy on the field, I can knock out his benched Excadrill and not have to worry about Dig Uppercut shenanigans for the rest of the game. I play a Dark Patch, go through my discard pile, and can’t find one in my discard pile, so I have to take back the Dark Patch and an unable to Energy Switch another Energy to Mewtwo to take the knock out and control of the game. From there, my opponent played an Enhanced Hammer to remove a DCE attached to Mewtwo EX , and then used Dig Uppercut to bring it back and remove another DCE from my Mewtwo EX. From there, my opponent completely dominated the rest of the match. There isn’t really much to say about this game, other that I played against a player who didn’t have much experience playing Pokemon, and didn’t have a deck with much synergy, and a lot of seemingly random cards thrown into the mix. My opponent didn’t play Switch in a deck with high retreat Pokemon, and I was playing Sableye/Hammers, so I just hammered all the Energy off his field turn after turn while I got setup, sometimes bringing up a Pokemon with no Energy that I could stall. I ended up with a field of a loaded Darkrai, a five Energy Mewtwo EX, a three Energy Mewtwo EX in case my opponent played Mewtwo to respond to the first, a loaded Bouffalant, and a backup Sableye. Once I had that, and all the Energy removed from the field I just cleaned up with my attackers for the win. I started Bouffalant this game,. This was a weird game, where both myself and my opponent weren’t really drawing much in the way of Supporters to start the game, but I played an Ultra Ball discarding some Dark Energy, and had some Dark Patches, so with an Energy Switch I managed to get a turn 2 Darkrai EX and start putting pressure on his field. I think I was able to play one Supporter early in the game, which netted me a bunch of Pokemon Catcher which I used to knock out all his Eelektrik and Tynamo. From there, my opponent used Celestial Roar and discarded two Supporters and a Pokemon Catcher. His only out is to go for Zekrom’s, and play around with Outrage damage to try to knock me out, which was a little frustrating to play around, but it’s not a winning strategy because I can choose not to attack and completely control his outrage damage. I sacrificed one Darkrai EX to outrage damage in the good fight against the Zekroms, but my second Darkrai EX was able to finish up the job for the victory. In this game I played against Chad Boatman who drove us all to Indiana and hotel’d us for the weekend. This was a pretty funny game, because it had a very laid back attitude, but somehow we ended up with two judges hawking over our game, pushing the pace of the game to far faster than what it needed to be. I don’t remember too much from this game, but I know Chad started Shaymin EX, so that was sitting on his field for the entire game waiting to be two free prizes. 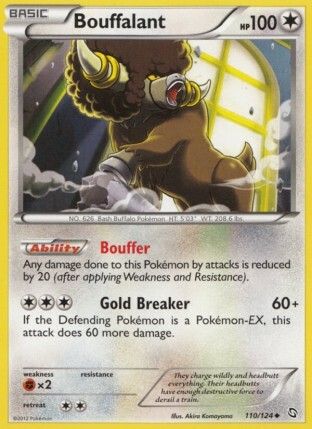 My Bouffalant was able to do some major damage on his EX Pokemon, and I was able to knock the Shaymin EX out for my 3rd and 4th prizes by hitting the Pokemon Catcher/Tool Scrapper combination to remove the Eviolite for the knock out on Shaymin EX. Chad didn’t really draw much of anything, and needed to hit an Energy Switch off of a Professor Juniper to get back in the game, which he whiffed and from there I was pretty well in control of the game. This isn’t my decks strongest matchup on paper, but I am fairly comfortable playing Darkrai mirror matches, and usually do pretty well in them, so I was confident heading into this game. I started Bouffalant for this game, and powered it up for early attacks (don’t quite remember if it was turn one with an Energy Switch, or just turn two with manual attachments). This Bouffalant did some work, knocking out two Darkrai EX’s for 4 of my prizes. The difficulty of this matchup was that my opponent played Terrakion NVI, so I couldn’t do too much with Darkrai in this matchup, although it was somewhat needed just to give everything free retreat in my deck. My opponent played Prism Energy instead of Basic Fighting Energy though, so I was able to remove all of his Prism Energy, and live safely knowing when Terrakion could and could not attack, which gave me much more control over the Terrakion exchange than I would otherwise when depending on Crushing Hammer, especially since once the Prisms hit the discard, they were gone for the game, but Fighting Energies could be brought back into the hand or deck with Energy Retrieval and Super Rod. My opponent fought back into the game, and it actually did come down to the final few turns thanks to N and Terrakion. The game came down to whether or not I could get an Energy off of my opponent’s 1 card N to win the game. I got a Skyla and Dark Energy for my two cards after the draw. I just attached to Mewtwo EX and won, but i could have otherwise used Skyla for an Energy Switch to win the game. Yay! Onto top cut after starting the tournament with a loss. In the Top 8, I got paired against a Ho-Oh EX deck with the three attackers listed above. 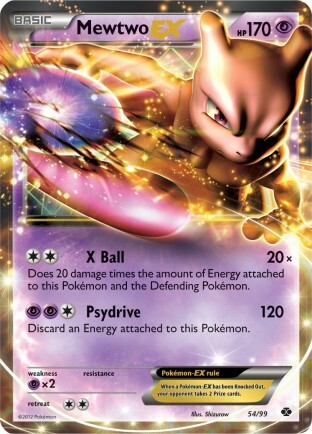 Even though it ran primarily Colorless Pokemon, he chose not to play Aspertia City Gym in his deck. The first game was a feeling out process. He was playing Ho-Oh, so my immediate assumption is there is probably a Terrakion NVI in the deck that is going to come out and devour my Darkrai EX, so I played less with Darkrai EX and more with Bouffalant and Mewtwo EX as my attackers. As the game went on though, it became more and more clear that Terrakion wasn’t coming, so I knew going forward, Darkrai EX would be very useful in this matchup. The game comes down to this point where I attach a second Double Colorless Energy on my Mewtwo EX, Energy Switch a Fifth Energy, and am going to go for the knockout on his benched Mewtwo EX to take control of the game. 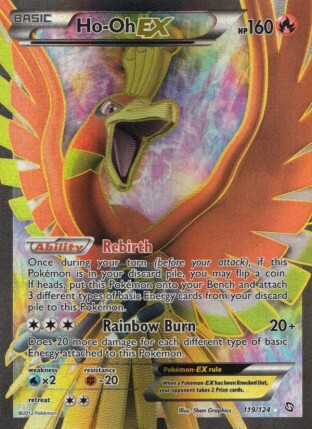 I play a Professor Juniper, and whiff on the three Pokemon Catcher still in my deck, so I’m forced to just take the knockout on his Active Ho-Oh EX. He responds with X-ball on my Mewtwo EX, and then I can’t get the response Mewtwo EX together and lose the game. Both of my Enhanced Hammers were prized in this game, which hurt me in this matchup. In game 2, I was able to get an early Darkrai EX and Night Spear to a sizable prize lead, and then just did clean up work with another Darkrai EX, Mewtwo EX, and Bouffalant. Game 3 was a very close game, where my opponent got off to a blazing hot start with Ho-Oh and Energy in the discard, while I got a fast Darkrai EX to keep up with my opponent. I don’t remember much about this game, but I know my opponent hit a really big Pokemon Catcher off his Supporter to knockout a Darkrai I think, which put him in a really good spot to win the game. At this point, my method of winning was to Pokemon Catcher up his benched Mewtwo EX with no damage on it, and hope he can’t attach/Energy Switch Energy to knockout this Mewtwo EX and also not draw into a method of retreating or switching this Mewtwo EX into his benched Mewtwo EX with three Energy on it. (The game had gone to time at this point), so I needed to find a decisive way to win within these turns). I would hit this Mewtwo EX for 80 damage, and then go for the Nigh Spear double knockout on both his Mewtwo EX and benched Tornadus EX with damage to win the game. My opponent had whatever he needed to win the game though, and got the win. Overall, these ended up being three close games, and the Ho-Oh player would end up winning the tournament. Overall, I was pretty unhappy with how this deck performed for me. In almost all of my games, the deck didn’t properly setup for me. 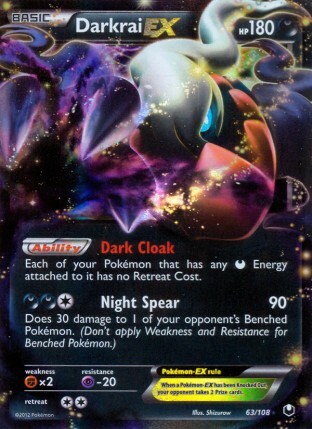 I was struggling to get Dark Energy in the discard pile to make use of Dark Patch, and was never really getting any type of fast setup with Darkrai EX, which wasn’t the case in testing, and something I haven’t really experienced much with past Darkrai decks that were built in a similar fashion. I think this was ultimately just a case of running cold for the day, but I was able to pull through it, as Darkrai EX, Mewtwo EX, and Bouffalant are still all super strong attackers, allowing you to pull through and get wins, even if you don’t draw optimally. My biggest regret with the deck was playing Crushing Hammer. They were a dead card for most of the day. I would have much rather have played a third Enhanced Hammer along with two healing cards, either Max Potion or Potion. 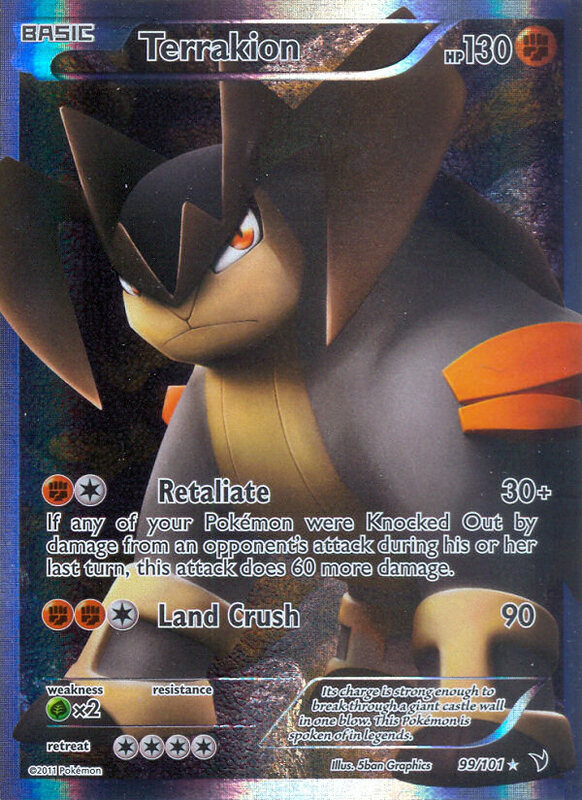 The one matchup that they came in handy was in the Groudon EX/Entei EX matchup, which was one that I didn’t really have to worry about losing, even without hammering his field into oblivion. Against every other matchup they were a dead card because I just kept flipping tails. Against Excadrill, the matchup I need them the most, I flipped all tails. I was able to flip one heads against the Darkrai/Terrakion deck, and then flipped one heads in all three of my top cut games. I think this will be one of those things, like my Blastoise deck, where I take out the uncertain cards (Crushing Hammer in Darkrai, Super Scoop Up in Blastoise) for cards with a certain outcome, giving me more consistency with the deck. I just can’t seem to flip heads at anything higher than a 20% rate, which makes these flip cards horrible plays for me. This tournament only did a 60 minute top cut, which should be gotten rid of. That only gives you 18 minutes and 40 seconds on average fro each of your three games in a top cut match. That’s not enough time to really finish games. 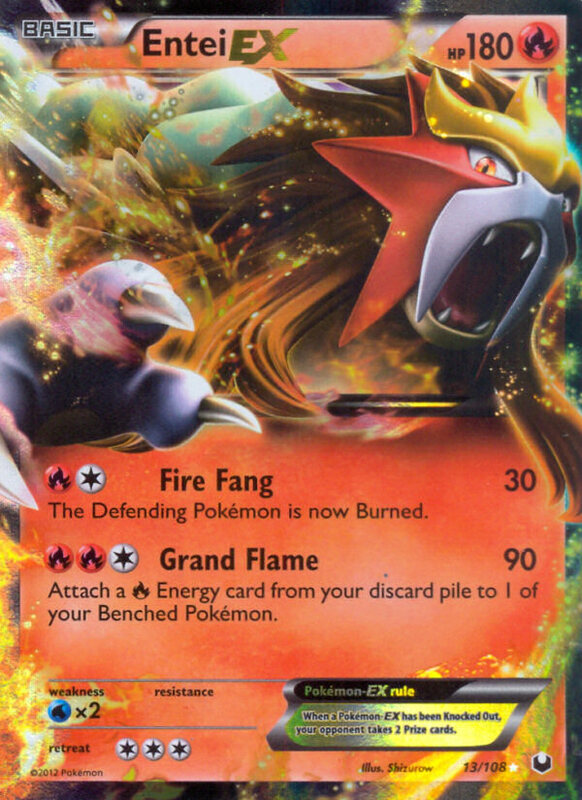 For example, in my Top 8 match, I couldn’t execute a Hammer strategy to stall late in my game against Ho-Oh because my game was going to hit time, and I was behind on prizes. If it had been a 75 minute top cut, I would have been able to pursue a hammer strategy to try to win the game, but with 60 minutes, I had to adjust my deck to playing differently from its max potential, which I don’t think is a good thing for the game to have. I ended up finishing 7th overall out of 32 players, and added 20 championship points to my total, putting me up to 70 championship points after this tournament. I hope some people were able to find this report enjoyable. I apologize in advance for a lack of detail for a lot of the matches. I played in this tournament after only getting two hours of sleep the night before, and my memory doesn’t seem to work that well on that little sleep. Played almost the exact same deck, sub tornadus ex for bouffalant, and I could not set up in about 7 of the 8 games I played. I was baffled just like you. Something about the math with DCE and less than 14 supporters really hampers Darkrai. Great report, thanks. Now write about Sigi! Darkrai/Mewtwo/Bouffalant/Sableye should be on of the best combinations of attackers in the format, but finding that perfect combination and amounts of support cards is actually quite complicated. Looking at your list the only thing i see it missing is Eviolite, anytime i play Darkrai i include eviolite just because of Terrakion NVI. its really the only think i worry about. But other then that it is just a super consistant build! I have found that i need 9-10 darkness energy to be able to utiolize darkpatch/ultra ball correctly, and i have the exact same problem with flip cards as you do. i wont play them. to aggrivating. to much luckand i dont have any to spare. for some reason, even though all the attackers as rally good, they seem to be missing something, just being able to sish out larg amounts of damage is not enough, especially agianst decks that can abuse max potion. im testing a 2-2 dusknoir, 2 rare candy, 3 darkrai, 2 sableye, 2 mewtwo, 2 bouffalant idea that is working very well. dusknoir is really good late game and i dont always HAVE to play him down. but catchering EX’s and using bouffalant for 120 compliments darkrai/mewtwo very well.